Backstory: He's the legend who famously called George Bush racist on national television. He's the mogul who unexpectedly interrupted Taylor Swift during the most defining moment of her career. He's also the genius that showed the world that Sway doesn't really have the answers. You know him as Kanye West aka Kanye Kardashian. He rarely smiles, but when he does, he quickly frowns. Be the Kanye we barely see, the Kanye to the W-E-S to the T aka Pablo aka Yeezy. Look out for YZY SZN 126 coming soon to Adidas, the only brand that took a chance on Kanye. 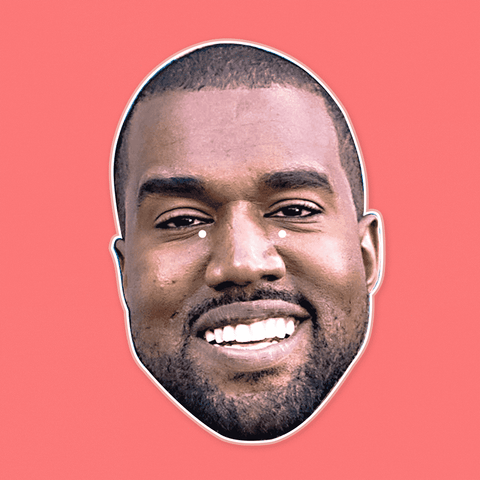 🤩DON’T JUST WEAR THE CELEBRITY, BECOME THE CELEBRITY - You know him as Kanye Kardashian. He rarely smiles, but when he does, he quickly frowns. Be the Kanye we barely see at the party, festival, and Halloween.